Gutted shell of an abandoned multi-story hotel. Highly visible from Main Street and Hwy 45. Mostly gutted, unfortunately I doubt you'll find much inside. 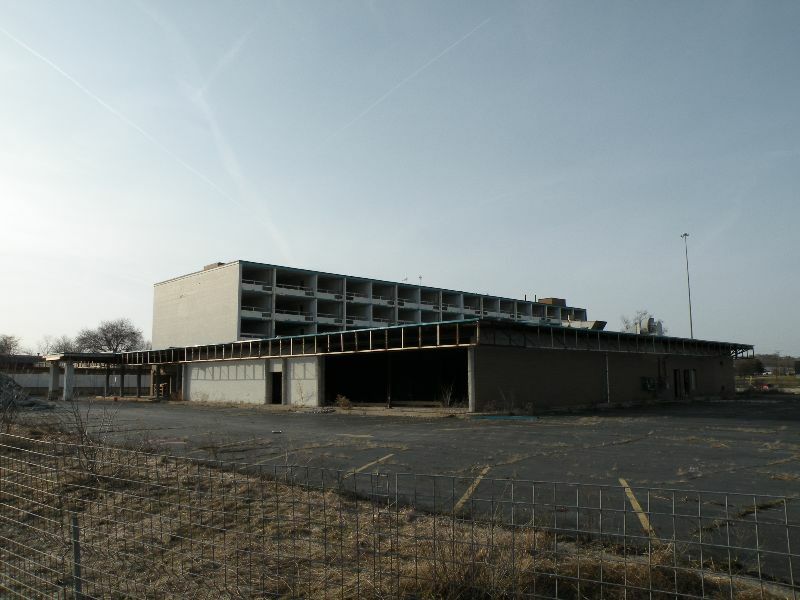 Opened as a Holiday Inn in the 70s and closed sometime before 2005. Hotel reviews say the place was a dump towards the end, with overflowing ashtrays in the elevators, dirty rooms, and numerous other problems. Gutted sometime afterward in a botched remodeling plan. Finally renovated into a Radisson Hotel in 2014; only the tower remains. This location's validation is current. It was last validated by Steed on 2/22/2016 2:48 AM. This page was generated for you in 78 milliseconds. Since June 23, 2002, a total of 573986893 pages have been generated.